Lucky for me, I get the opportunity to travel often. It comes with the territory of marrying someone whose parents split time between Bermuda and Florida, visiting my family that lives in California but also spends a lot of time in Hawaii, and having friends all over the states! Over time, I've figured out what works and what really doesn't work when it comes to my own personal wellness-oriented travel necessities, and I wanted to share some of them with you in case you're curious or looking for some inspiration for the next time you travel. There is nothing I hate more than spending $6 on a bottle of water in the airport, and I've found that nearly every airport I've been to lately has refillable filtered water stations in every terminal. I love my S'Well bottle so much and make sure to bring it with me wherever I go. If you can't find a water station, I've found that if you ask nicely, the baristas at Starbucks are happy to fill up your water bottle for you, too! Hydration is so important when you fly because being up in altitude is super dehydrating, but even when you get to your destination, it's nice to have your own water bottle on hand just in case! 1. Magnesium (so helpful for stress management and sleep) -- it comes in a travel size now, too! There is nothing worse than sitting for hours on end during a long travel day, so I make a conscious effort to either wear or pack comfortable "athleisure" when I fly so that I can either take walking laps around the airport while I wait to sit for hours or can take a walk as soon as we get settled in our destination. If I'm traveling somewhere new, I always do a little bit of research about where the best yoga studio is, if there are any great workout classes near our hotel or Airbnb or if there are great scenic hiking or walking trails to explore. This helps me to get excited about exercising or moving in our new destination and, in turn, makes me more motivated to do just that once we arrive! This post was reblogged with permission from Katie Marshall Wellness. Katie Marshall is a Certified Holistic Health Coach specializing in balanced lifestyle solutions. 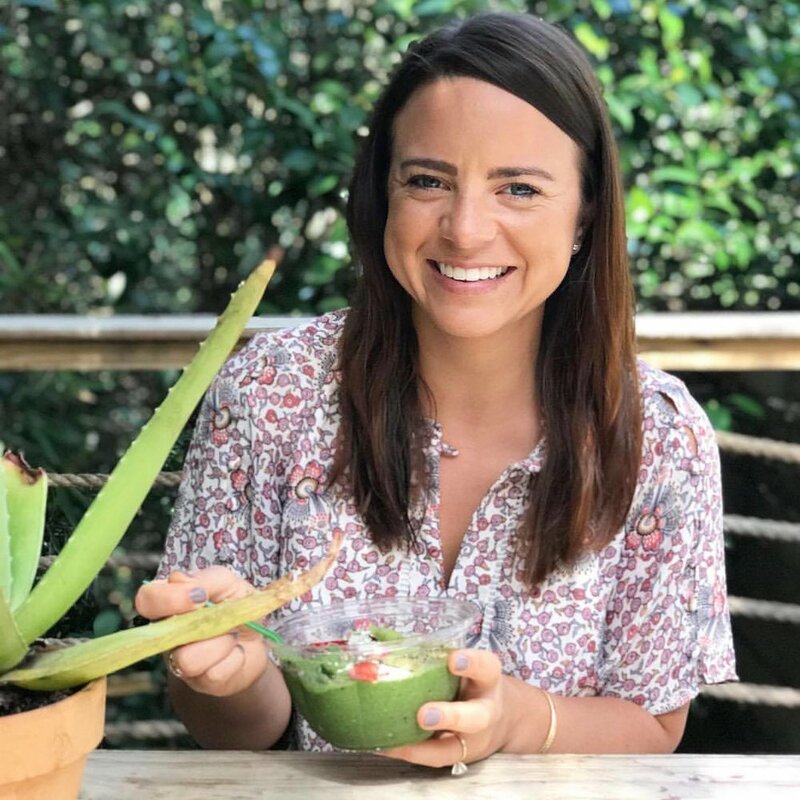 After graduating from Vanderbilt University with a bachelor’s degree in Medicine, Health, and Society, Katie enrolled in the Institute for Integrative Nutrition to obtain her health coaching certification. Using a combination of coaching skills and nutrition education, she works with my clients to help them find balance in all aspects of life: diet, exercise, relationships, work-life balance and stress management.